Almost everybody loves ice cream. While smooth, creamy, and refreshing, traditional ice cream is not a healthy choice. So, here is my recipe for a relatively healthy ice cream. First, I use organic coconut cream instead of pasteurized cow’s milk and cream. In addition, I include avocados. 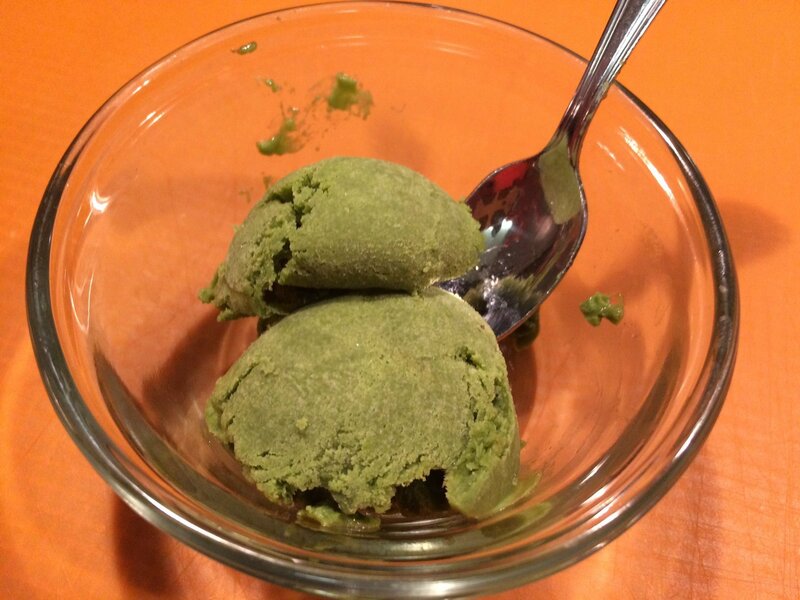 Then I increase the nutrient list with matcha green tea powder. To sweeten it, I combine a banana, local raw honey, and vanilla extract. For those not familiar with matcha green tea, it is a finely ground powder of specially grown and processed green tea leaves. Matcha has 137 times more antioxidants than regularly brewed green tea. It has a rich but an astringent taste. For more information about matcha green tea, here is a helpful source.